The Grand Ballroom and the Celebration Ballroom are both available at The Vault when you want to host an unforgettable event or party at our venue. We welcome you to plan your Sweet-Sixteen Party, Quinceañera, Birthday Party, Anniversary Party, Baptism, or Corporate Event in one of our gorgeous rooms to take advantage of a space that will impress your guests with our high level of formality. An all-inclusive package is conveniently offered for events that are hosted in our Ballroom's with accommodations that includes; Dinner Buffet, Tables, Chairs, Linen, China, Flatware, Waiting Staff, Setup and Cleanup. Open Bar Optional. 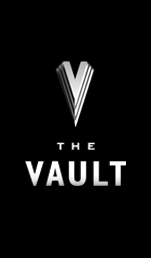 You can have peace of mind knowing that you can enjoy a smooth and easy process with hosting the event at The Vault in Hollister, without having to worry about all of the details that are involved. We strive to make your night truly magical and memorable with each detail.